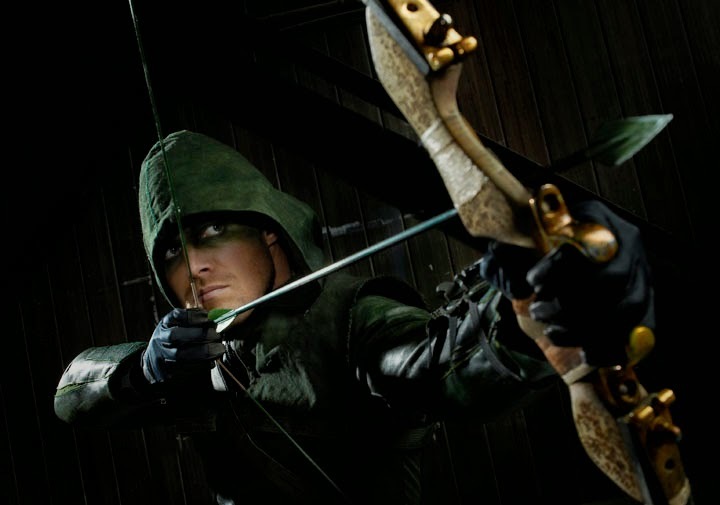 In the aftermath of Oliver’s (Stephen Amell) fight with Ra’s al Ghul (Matt Nable), Diggle (David Ramsey) and Arsenal (Colton Haynes) continue to protect the city in the Arrow’s absence. However, after three days without hearing from Oliver, they begin to fear the worst may have happened to their friend. Felicity (Emily Bett Rickards) refuses to believe that Oliver could be dead until Merlyn (John Barrowman) pays the team a surprise visit. Thea (Willa Holland) suspects there is something more behind Oliver’s disappearance and asks Merlyn for a favor. Meanwhile, Ray (Brandon Routh) tests a part of his new suit and Laurel (Katie Cassidy) takes up the mantle of the Black Canary. Glen Winter directed the episode written by Marc Guggenheim & Erik Oleson (#310).